Hospitality is probably one of the oldest industries around. It’s certainly one of the most respected. The field includes everything from restaurants to hotels, and its primary goal is make people smile and feel more comfortable. What could be more gratifying than that? If you’re thinking about entering the hospitality industry, here are a few reasons to motivate you further. One doesn’t get far in the hospitality business without some creativity. If you regularly come up with good ideas, this is a great way to put your creative brain to work. You may be called upon to come up with attractive promotions, suitable amenities to inspire guests, new recipes for a dining operation, package deals, special adventures, and other ideas that will make your business or employer stand out effectively against the competition. The rewards you reap from your creative ideas may include rising customer satisfaction and greater sales. Unlike many other lines of work, hospitality is definitely all about the customer. Your task is to make people smile as they try to relax and enjoy a break from their everyday reality, whether for an hour or two or a week or more. There’s no better feeling than seeing those happy emotions as your guests enjoy the amenities you’ve presented to them. When everything works, you should find yourself in a friendly and vibrant atmosphere that keeps employees engaged and makes your company a delightful place to work. Because customers are more relaxed on vacation, you’re also less likely to encounter frustrated clients the way other businesses do. Hospitality businesses typically remember the people who have worked hard to make them a success, and they’re likely to reward you with plenty of perks. You might not be able to afford such accommodations otherwise. If you’re in the housing business, for example, you might be granted a sizeable discount on a vacation home or a luxury apartment in a nice part of town. Friends and family may benefit from your perks as well. They might enjoy a discount on a hotel or vacation. Some cruise companies award free cruises when employees take their friends and family on a trip. Most salaries in the hospitality industry are based on a competitive and commission basis. This means the harder you work, the more bonuses you’ll earn at the end of the year. You may never experience the same day twice in a row. Although such tasks as cleaning and cooking will be relatively routine, every face you see will be different. The people you meet will have unique stories to tell, and by offering good customer service and a positive attitude to each guest, you’ll be privy to the unique details of various customers’ adventures. It’s hard to comprehend just how many opportunities you’ll have until you’ve become immersed in the hospitality industry. The barriers to entry are relatively low, and once you’re in, you can work hard and expand your activities to become a hugely profitable success. 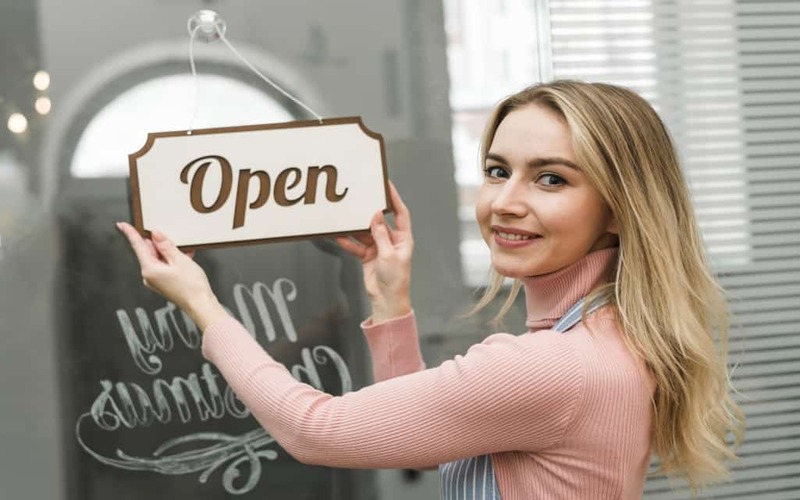 Whether you’re starting as a business owner or employee, you may find yourself experiencing swift promotions and many opportunities to establish yourself as an authority on accommodations in your particular commercial arena. In addition, you’ll get to combine work with travel, and handle challenges on an almost daily basis. This encourages significant personal growth as you encounter new cultures and learn from the mistakes made along the way. You’ll be a better, well-rounded person as a result of such experiences. This industry depends on diversity. It brings the members of many cultures together in a single environment so people of various ethnicities co-exist in relative harmony. You’ll learn a great deal about other cultures as visitors accept your hospitality. This will be especially that case if you end up working in a tourist hot spot. You may to encounter visitors from all over the world, including Asia, Canada, Russia, Europe, and every state of the union. You’ll quickly learn to communicate and work with all these different people, no matter what their interests or background may be. This priceless advantage comes from the on-the-job requirement to sell yourself. You’ll be a key component in the success of your outfit, based on your customer service and marketing skills. As you advance in the industry and see the way that colleagues, supervisors, and clients respond positively to you and your ideas, you’ll inevitably regard yourself in a more positive light over time and grow more confident in your abilities.